A THUNDER OF DRUMS reverberates only with the thunder of your fingers on the arm of your chair as you wait for anything interesting to finally happen in this 1961 cavalry feedbag. Directed by Joseph M. Newman, it’s a talk fest, wasting the talents of some in its cast, showcasing the lack of it among others. Lots of dust on the uniforms, but it also clogs the script, while action promised by that title is sorely lacking. Richard Boone (in angry, shouting mode) commands a dispirited post out in Apache country. He’s bitter not just because of a disgraced past (lot of that going around on those frontier posts), but maybe because he has to share scenes with George Hamilton, still in his learn-talk-walk-same-time phase, which lasted roughly from debuting in 1959 until he started kidding himself twenty years later with Love At First Bite. 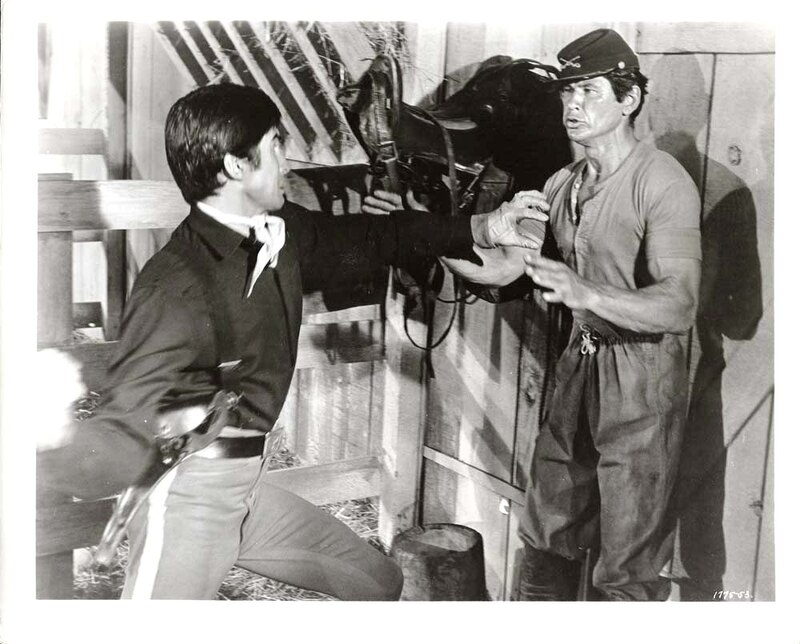 Here, a highlight—the highlight— is when George gets into a fistfight with Charles Bronson—and wins: so much for realism. 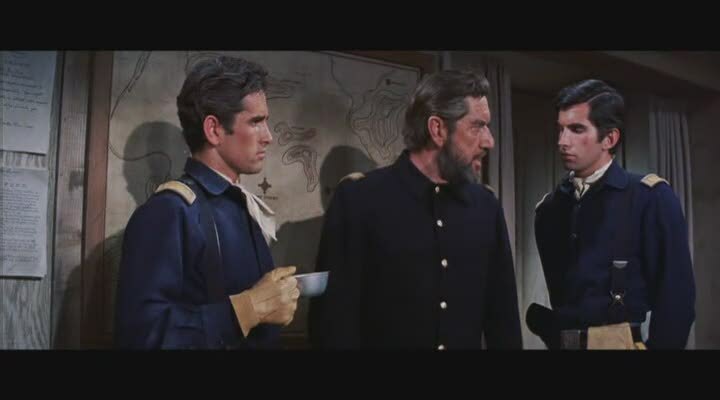 Fretting and fussing in the fort are Luana Patten, Richard Chamberlain (same year he started as Dr. Kildare on the tube for 191 episodes), Arthur O’Connell, Slim Pickens (taking the work in his stride). Plus, wait–hey, it’s Duane Eddy! He is ‘introduced’, but his talent twangin’ a guitar didn’t transfer to acting, where he is—well, a great guitarist. 97 minutes. Grosses came to $2,100,000. Duck, Charlie! Naw, hell, why bother?